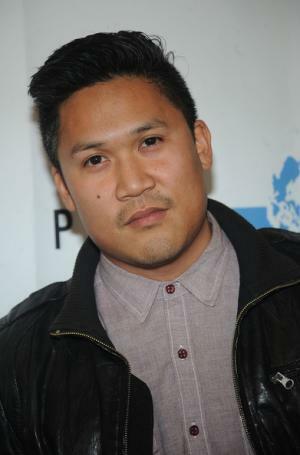 R. Dante Basco was born on the 29th August 1975, in Pittsburg, California USA, of part-Filipino descent. He is an American actor and voice actor, probably best known for his role as Rufio in the movie “Hook” (1991). His voice was also heard as Prince Zuko in the television series “Avatar: The Last Airbender” (2005–2008), and Jake Long from the enonymous animated series “American Dragon: Jake Long” (2005-2007). Dante Basco has been active in the entertainment industry since 1988. How much is the net worth of Dante Basco? As authoritative sources estimate, the wealth of the actor is as much as $500,000, as of the data presented in the middle of 2016. To begin with, Dante grew up in Cerritos and Paramount. He has three brothers and a sister – one of his brothers is the popular actor Dion Basco. In his youth he was a member of the break dance group called Streat Freaks. In 1993, he graduated from the Orange County School of the Arts, but since 1988 Basco has been playing small roles on television. In 1991, he broke through to the general public with his role as Rufio, leader of the lost boys in the movie “Hook”, directed by Steven Spielberg and starring Robin Williams and Dustin Hoffman. The ensemble of the cast won the Young Artist Award in the category of Outstanding Young Ensemble Cast in a Motion Picture, and Dante was nominated for the Young Artist Award in the category of the Best Young Actor Co-starring in a Motion Picture. Subsequently, he had several guest roles in television series such as “Hangin ‘with Mr. Cooper” (1993), “The Fresh Prince of Bel-Air” (1995), “Touched by an Angel” (1996) and many others, which added steadily to his net worth. Afterwards he created many characters of various Asian origins, and starred alongside his brothers and sister in a Filipino American film “The Debut” (2002), directed by Filipino-American Gene Cajayon, which won awards in the San Diego Asian Film Festival and Hawaii International Film Festival. Moreover, he was cast with his brothers in the television series “Naked Brown Men” (2003). In 1999, he played a gay boy in the film “But I’m A Cheerleader”, and he performed as break dancer Ramos in the film “Take the Lead” (2006), alongside Antonio Banderas. Basco danced in several movies as well as in the commercials for Verizon Wireless, Sprite and others. Additionally, he produced a parody of the music video Rehab called “Wiihab”, in which he also played a role. In 2012, he starred in the film “Hang Loose” and won three awards – Los Angeles Asian Pacific Film Festival Award as the Best Actor, and two National Film Society Awards in the categories of the Best Supporting Actor and the Best Duo. Basco is also active as a voice actor in animated series and video games; he is known as Matt Martin and Kewl Breeze from the television series “Zevo-3” (2010–2011) and General Iroh II from the eponymous animated series “The Legend of Korra” (2012–2014). All his landed roles have increased the outright size of Dante Basco’s net worth as well as popularity. Finally, in the personal life of the actor, he has dated Cricket Leigh and Jenna Dewan Tatum, however, currently he claims to be single. 1 [on Robin Williams] Although working with him changed my life, in truth, he impacted me several years before when Dead Poets Society (1989) became one of my favorite films and really got me interested in poetry; I later became a poet. I was lucky to work with him as an actor and witness first hand the magic of what made him a legend -- the wit and other worldly improv skills -- as well as see him single handedly put the morale of a movie set, easily hundreds of people, on his shoulders and kept everyone laughing as they worked long hours for what seemed like months on end. And at the same time, I was fortunate to spend private times, many mornings in the makeup chair (my tri-hawk hair took hours) just talking about poetry... soft spoken and introspectively, we would discuss Walt Whitman and Charles Bukowski. With Hook (1991) and so many other films, I, like millions of others, became a fan and was always delightfully surprised by the performances he managed to produce. With his passing, I can't help to feel, along with my generation... I can't help feeling like it's the death of my childhood. I guess we can't stay in Neverland forever, we must all grow up. 1 He is a big fan of and featured in the web-comic created by Andrew Hussie named "Homestuck". 2 Plays poker at the same establishment as Charles Milano. 3 Attended Southern California's prestigious Orange County High School of the Arts. 4 Brother of Darion Basco, Derek Basco, Dion Basco and Arianna Basco all actors. 5 He is of Filipino decent. 6 Has his own poetry venue. 7 He lives in Los Angeles. 8 Shares same birthday with older brother, Derek.